The complement to the RM160 on vehicles performing where there is a need for extra drive traction. The complement to the RM160 for vehicles in pick-up & delivery applications. 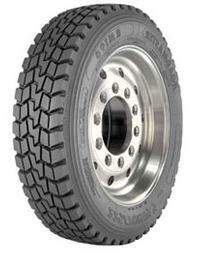 The directional tread design promotes even wear and extra traction.